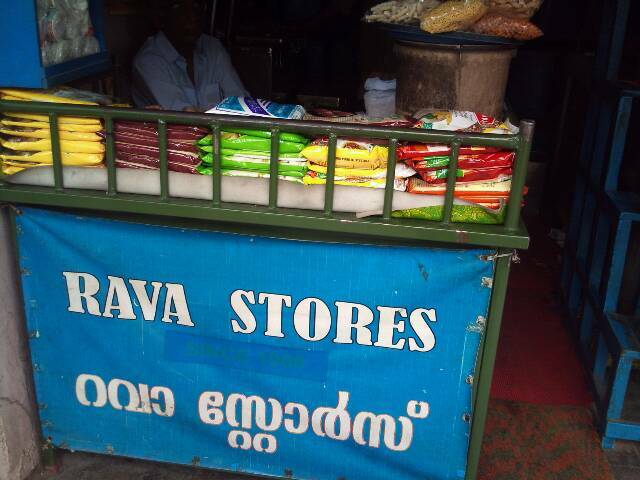 Rava Stores (Palakkad, Kerala) | Life's Conundrum - Eat to Live or Live to Eat? Posted on July 27, 2013 by Anna and Shiv	• This entry was posted in Food Memories and tagged Business, Chutney, Food, Food and Related Products, Kerala, Palakkad, Rava, Shopping. Bookmark the permalink. Are you dealing in only vegetarian items or non-vegetarian also. Also please send me your full address with telephone number and landmark so that I can visit your shop next time. This is unfortunately not our shop. 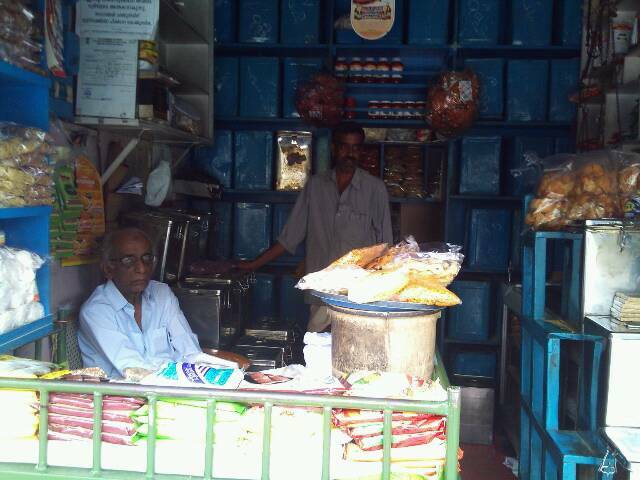 It is a shop in Palakkad that I have nostalgic memories about having frequented it as a child. We have bought traditional favourites from here for generations and are happy that the shop has survived the onslaught of modern times. They deal only on veg items.The surprising feature is that the shop is owned by a Muslim gentleman who has taken as his life’s mission to popularise the special condiments unique to the Brahmins through Iyers of Palakkad. I totally agree with you.You buy something from Rava Stores and you are taking a part of Palakkad to wherever you live.